A Douglas County uncontested divorce is the fastest, least stressful and least expensive way to obtain a divorce in Douglas County. We represent and assist clients needing a Douglas County uncontested divorce both in cases with or without minor children. If you need Douglas County uncontested divorce information, just call (770) 794-3220 for a free telephone consultation. An experienced Georgia divorce attorney will assess your situation and give you some ideas to help you with your situation. To better assist you, we recommend that you complete our Client Inquiry Form. We custom-prepare all documents for your divorce case and send them to you for review and signing by both you and your spouse along with detailed instructions. Your spouse will never be "served" by a sheriff's deputy but will simply sign a document acknowledging receipt of the uncontested divorce paperwork. You simply will not find a better process for getting an uncontested Douglas County divorce. Typically, in a Douglas County Uncontested Divorce, if you are represented by an attorney, you do not have to appear in court to complete the divorce in any uncontested Douglas County divorce even if minor children are involved. But, the decision of whether you must appear in court to complete an uncontested divorce in Douglas County is up to the judge to whom your case is assigned. If there must be a hearing to complete the case, we can usually appear at the hearing with you at no additional cost. 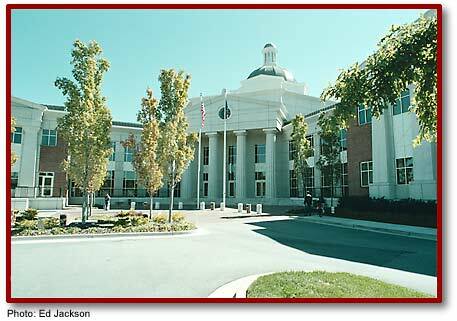 All Douglas County divorce matters must be filed in the Superior Court of Douglas County located in Douglasville. As part of our representation in your case, we take care of all filings and other communications and coordination with the Judge and Clerk. Of course, we also prepare all of the documents necessary for your uncontested divorce and move the case through the court system for you to completion. Although there is no major military installation in Douglas County, we handle a substantial number of uncontested military divorce matters in Douglas County. We can assist you with understanding how your divorce can affect your military benefits, including retirement and other benefits. The cost of a military uncontested Douglas County divorce is the same as for a civilian uncontested divorce. Our fee for an uncontested Douglas County divorce is typically $425 if the case does not involve minor children and $850 if you and your spouse have minor children. However, our fee can vary slightly depending on the complexity of the issues. Our fee does not include the court costs which are $270 in Douglas County. We e-file all of the uncontested divorce documents in Douglas County cases and the filing fee and other administrative costs are included in the court costs of $270. E-filing costs a little more than manual filing but it is significantly faster and helps to complete an uncontested divorce faster so that you can move on with your life sooner. We also offer representation in Publication Divorces in Douglas County. Publication divorces take longer and cost more due the extra steps that must be taken to get the publication approved by the judge and to pay for the actual publication in the newspaper. How long does it take to get an uncontested divorce in Douglas County? How does the uncontested Douglas County divorce process work?